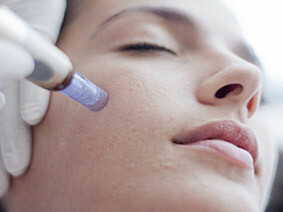 Skin Needling is not a new treatment, it was first discovered by the Chinese whom through the use of Acupuncture needles, discovered the healing power of mild trauma to the skin and body. This nonmechanical treatment offers a holistic approach to many skin problems with outstanding and incredibly quick results. This is a wonderful treatment for a fully qualified Beauty Therapist to add to their existing treatments and allows you to offer a new and exciting skin treatment for your clients. Bronwyn Conroy Tutors, are all fully qualified CIDESCO Beauty Therapists and Teachers which ensures that standards are always adhered to. You are fully insured to practice this treatment within our College but will need to add this treatment to your insurance for practice outside of the school. A minimum level 2 beauty Therapy is required to participate in this course, a certificate will be required to book.